Real Estate Attorney for Buyers and Sellers in Westmont, IL | Fournier Law Firm, Ltd.
With a full calendar of community events year round, there is always something to do in the Village of Westmont, IL. The progressive Chicago suburb is home to high-performing schools like J.T. Manning Elementary School, beautiful public parks like Ty Warner Park, and better-than-average job growth with top employers like SIRVA, Inc. It is no wonder that families and individuals around Chicagoland look to the 60559 zip code for residential and commercial real estate. The legal team at Fournier Law Firm, Ltd. has more than 15 years of experience helping buyers and sellers in Westmont, IL and surrounding areas close real estate deals. Put the experienced real estate team at Fournier Law Firm, Ltd. to work for you. Call 630-792-1000 today to schedule an appointment to discuss your real estate transaction. Or, if you prefer, you can submit a request though our online contact form and a member of our staff will be happy to answer any questions you have about the services we provide. 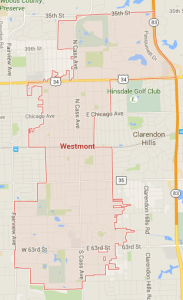 If you are buying, selling, or leasing a residential or commercial property in Westmont, IL 60559, protect your investment by retaining the services of an experienced real estate attorney. Call Fournier Law Firm, Ltd. at (630) 792-1000 or use our online contact form to make an appointment. With guidance every step of the way from the legal team at Fournier Law Firm, Ltd., you will always understand what is going on with your real estate transaction. Our commitment to outstanding client service means every time you call our office during business hours, you will speak with a live person, not voice mail. Our real estate attorney will answer all of your legal questions throughout the buying or selling process. In addition, a certified paralegal assists our clients by responding to routine requests for information. During closing, our real estate attorney will be there to ensure you understand all the documents that must be signed to finalize your real estate deal. To help you keep all your closing documents organized, Fournier Law Firm, Ltd. will prepare a closing binder with all your important papers tabbed and indexed for safekeeping and easy reference. We provide this high-touch service with no hidden fees. When you hire us, we will prepare an engagement letter for you that will outline all the fees you will be charged so there are no surprises. Don’t wait until it is time to close your transaction to seek counsel. Call Fournier Law Firm, Ltd. at 630-792-1000 today to make an appointment to discuss your sale or purchase with our real estate attorney. If you would rather have a member of our staff get in touch with you, complete our online contact form and someone will contact you shortly.